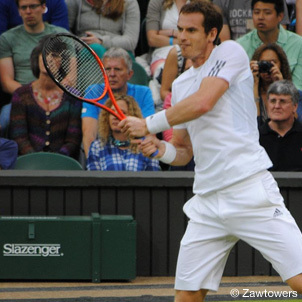 Learn more about some of the top male professional tennis players on the ATP world tour. Men’s professional tennis has an extremely diverse set of players. Beyond the sheer depth of field, players hail from all corners of the world providing the sport with a unique mix of personalities and playing styles. As a result, tennis can be an extremely fun sport to follow and while each player brings something unique to the game, most of us have our favorite player. On the men’s side you have tennis players like Roger Federer who many appreciate for his sheer dominance over the years. Regardless of how you feel about his personality, it’s almost impossible not to ignore the fact that he spent 237 consecutive weeks at #1 in the world. However, you may also appreciate his incredible shot making ability, effortless style of play or even his sense of style, which is unprecedented. On the other hand, you have players like Novak Djokovic who has a beaming personality and loves to joke and have fun on the court – particularly at the end of matches he wins. Beyond that he’s known for his stunning return, powerful groundstrokes and big serve. Or maybe you prefer the likes of Rafael Nadal, a player whose emotions radiate on the court. As one of the more physical players in men’s tennis, he has tremendous groundstrokes with heavy topspin like no other player. He’s quick and can track down shots others couldn’t dream of getting to and a wizard on clay. Regardless of who your favorite men’s tennis player is we have put together player profiles covering some of the top players in the game and we’re always adding new players. So whether you’re looking to learn a bit more about your favorite player or want to catch up on some recent news about them, we’ve got you covered.